Begin your day at 9 AM with pick-up at the cruise ship terminal in Seward. View our busting harbor and historic downtown district filled with quaint shops and art galleries. At 3,022 feet, towering Mt. Marathon provides a breathtaking backdrop for the town. Behind Mt. 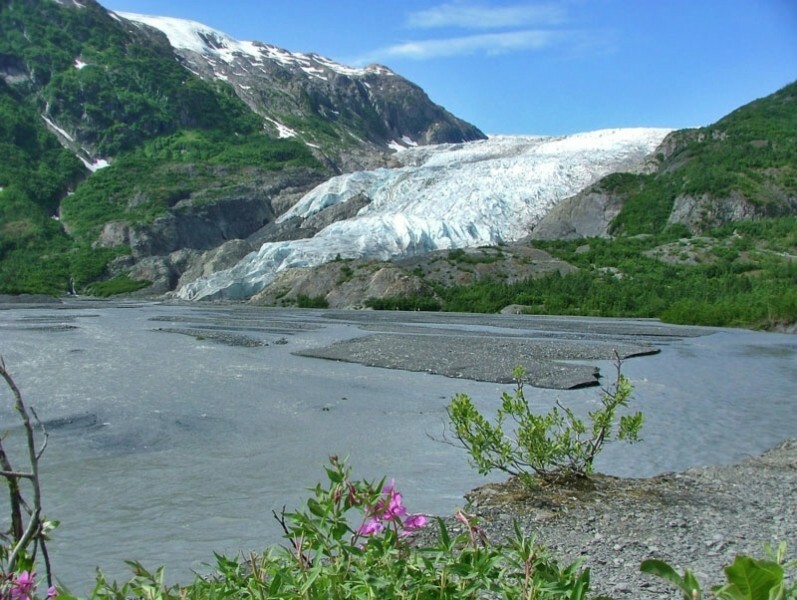 Marathon and extending down the coast lies the Harding Icefield, measuring 35 by 20 miles.Arriving at Exit Glacier, an eight mile drive off the main road, reveals a spectacular view and a short easy riverbed walk provides a close-up and personal view of a magnificent glacier. Leisure time allows for hikes, comfortable walks or photo moments. The Visitor Center features books and information from park rangers. 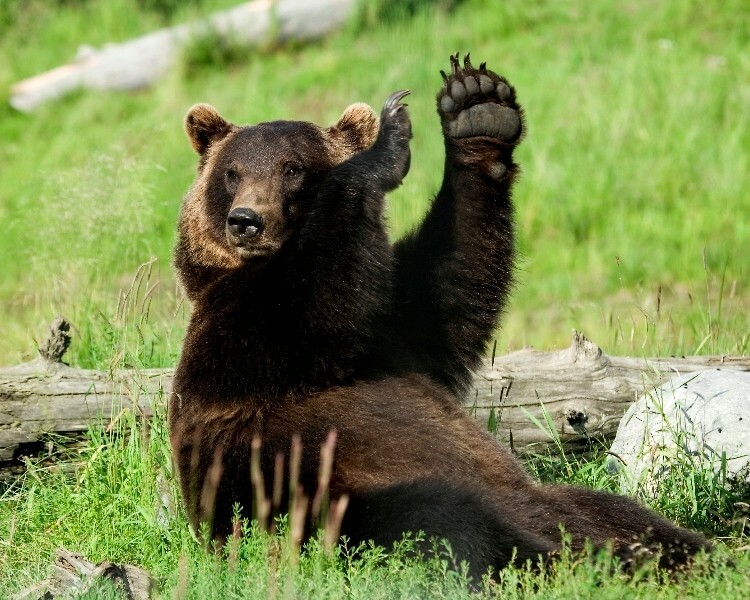 Watch for black bear as they are prevalent in this area. A unique part of Alaska, the Kenai Peninsula offers up mountainous passes and gorges along the magnificent Turnagain Arm of Cook Inlet. Enjoy this afternoons scenery further down the Seward Hwy corridor. 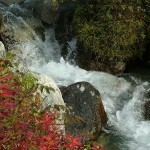 As you approach Turnagain Pass, a restroom break will open up a world of unbelievable photos! Views will rival the best Alps. Flora and fauna of this area include lupine, columbine, arctic chocolate lilies, pasque flowers and more. Streams are carved out of solid rock and cavernous canyons call to visiting raft thrill seekers. Moose Pass features a quick stop for ice cream scoops or souvenirs at the original Estes Groceteria. A lunch stop is provided at the Summit Lake Lodge. (Meal not included) Quality, fresh foods are purchased locally and imported from the lower 48 for your pleasure. Summit Lake Lodge offers some of the finest dining on the Kenai Peninsula. Stop in for a quick meal of burger and fries or linger over a leisurely three course meal with friends and family. Specialties include fresh halibut, and prime rib. Either way, the view of the lake and surrounding mountains will enhance the dining experience. You may even catch the majestic sight of bald eagles in the trees surrounding the lake. Meet your Tour Director and traveling companions aboard the private luxury transport service. Upon boarding, begin your adventure with a ride through the Anton Anderson Memorial Tunnel, the longest tunnel in North America, 2.5 miles! It is the first tunnel designed for -40° F. and 150 mph winds. 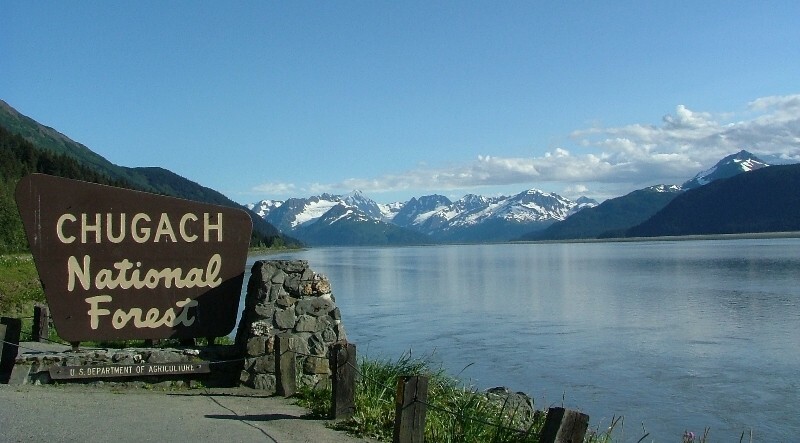 The tunnel is located fifty miles southeast of Anchorage near Portage Glacier, and connects the port city of Whittier on Prince William Sound to the Seward Highway and Southcentral Alaska. 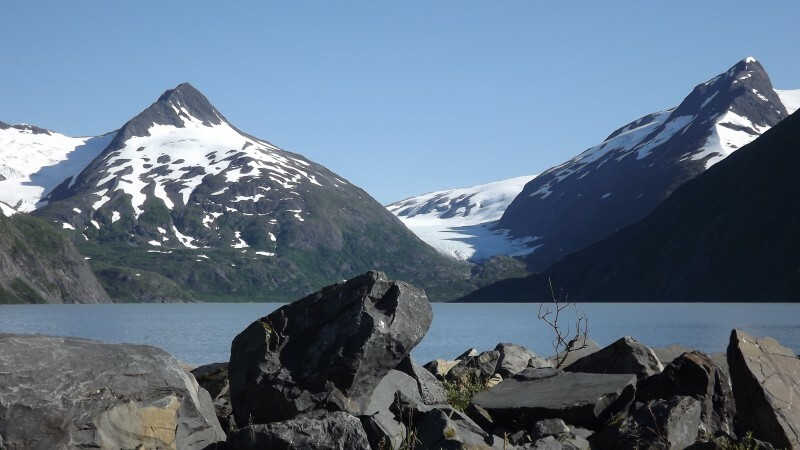 It opened to vehicle traffic on June 7, 2000 after extensive conversion from a World War II railroad tunnel.Arrive at Portage glacier, leisure time offers a great area to view the icebergs in the lake as well as hanging glaciers that will keep your camera busy. Begich-Boggs Visitors Center offers an unique opportunity to learn about the Chugach National Forest, America’s second largest national forest. Award-winning exhibits, educational presentations, the film “Voices from the Ice,” information services, and an Alaska Natural History Association bookstore are available. Join a Forest Service Interpreter or go it alone on this short 1/4 mile loop trail located just outside our doors. Interpretive signs along the trail help paint the picture of Portage Glacier’s retreat revealing a landscape full of new life. A stop to view salmon spawning depending on season. 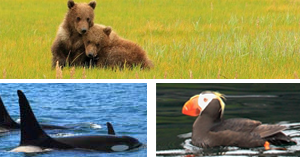 Next, visit the Alaska Wildlife Conservation Center, opened to the public in 1993. 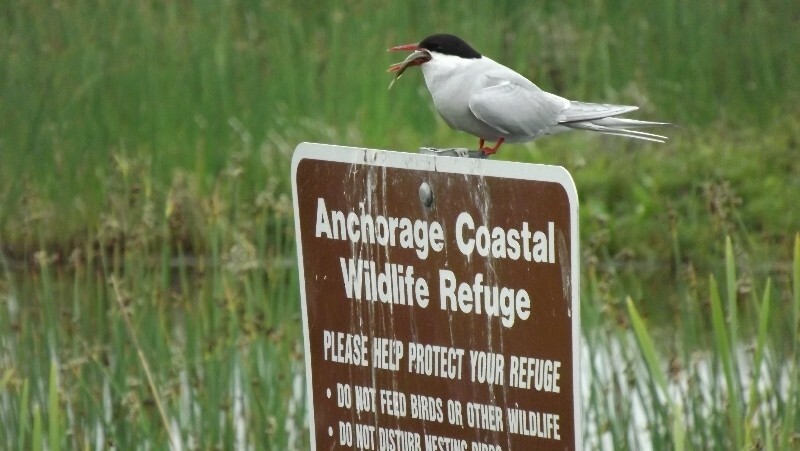 It is located on 140 acres at the southern edge of Turnagain Arm and the entrance to Portage Valley. AWCC provides care and rehabilitation for injured and orphaned wildlife and to provide wildlife education and awareness. Animals that are unable to be released or survive in the wild are given refuge in the center’s spacious habitats. 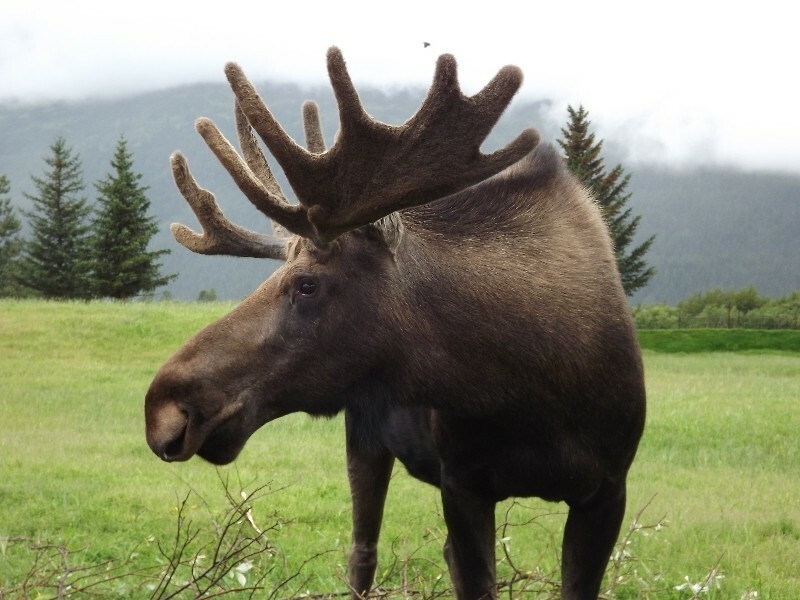 Here people can safely get close, observe and photograph some of Alaska’s largest land animals, including moose, bison, elk, deer, caribou, bears musk ox, small mammals and birds of prey. Beluga Point provides a possible whale watch in July through September, as you travel along the beautiful Turnagain Arm of the Cook Inlet. This drive also provides a great backdrop for stunning photography. 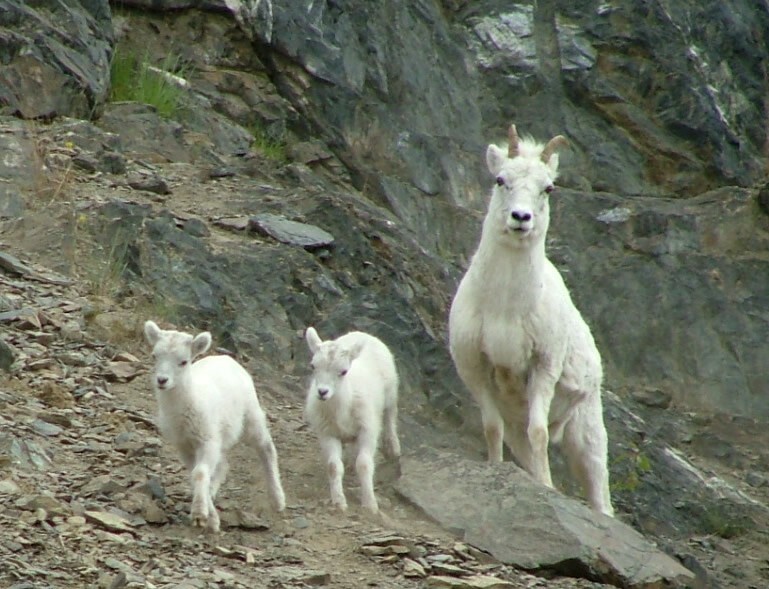 Windy Point provides the opportunity to watch for Dall sheep on the roadside cliffs. The salt licks here provide nourishment to the sheep. Potters Marsh is a state game refuge, is a very popular spot for bird watching from a boardwalk. This is a nesting area for waterfowl as well as arctic tern, Canada geese, swans, and ducks. As you travel north through Anchorage, a city tour will acquaint you with the history and folklore of the region. Stopping at the Native Heritage Center, you will be exposed to many native cultures in one location. Learn the ways of the elders and watch as native dancers share their culture. Continue on to the Matanuska Valley, the farming belt of Alaska, with a visit of the native village of Eklutna. Enjoy the Russian Orthodox influenced Chapel and native influenced spirit houses, sharing their cultural traditions. Continuing north, we will pass the Palmer Hay Flats, and the Knik Arm of the Cook Inlet. 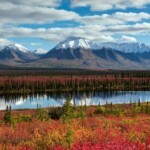 This tundra area is home to wildlife and several species of birds. Arriving in Wasilla, enjoy comfortable accommodations adding a remote feel to your adventure and all the comforts & conveniences of home. This evening, a dinner stop is provided at one of Wasilla’s finest restaurants with exceptional views.